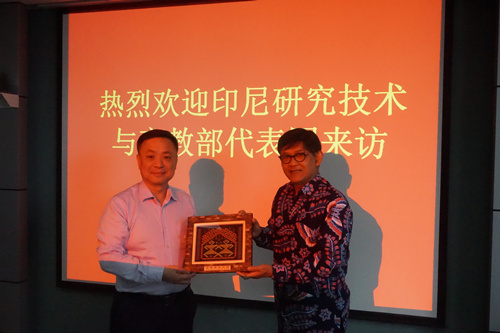 In order to further strengthen bilateral cooperation on Science Techno Parks (STP) between China and Indonesia, Dr. Patdono Suwignjo, Acting Director General of Research, Technology and Higher Education (RISTEK DIKTI) led a delegation to visit China from 25 February to 1 March. 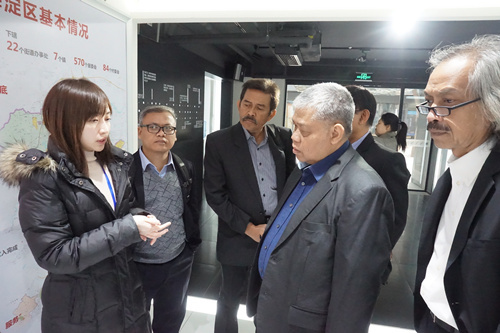 In Beijing, the delegation held meeting with Mr. Zhang Weixing, Secretary of CPC Committee of Torch High Technology Industry Development Center, MOST and visited the Zhongguancun Exhibition Center, as well as the Zhongguancun Innoway. 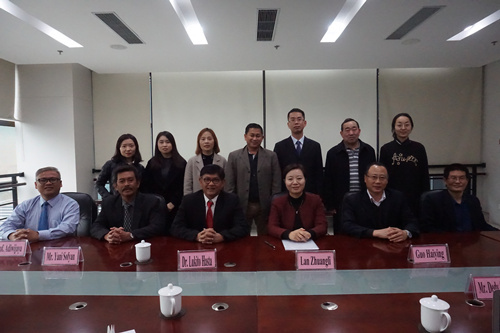 In Shaanxi Province, the delegation held discussion with Mrs. Lan Zhuangli, Deputy Director General of Shaanxi Science and Technology Department and visited Xi’an HI-Tech Industries Development Zone, as well as Xi’an Institute of Optics and Precision Mechanics. 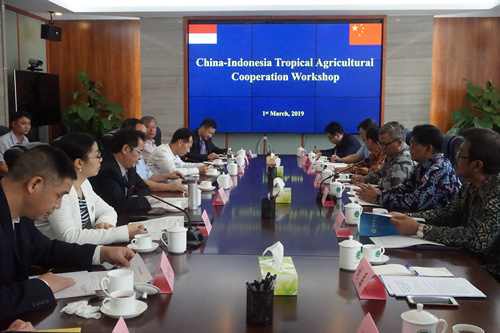 In Hainan Province, the delegation held meeting with Mr. Shi Yiyun, Deputy Provincial Chairman of CPPCC and Director General of Hainan Science and Technology Department and Mr. Li Kaimian, Deputy Chairman of Chinese Academy of Tropical Agricultural Sciences (CATAS) respectively. 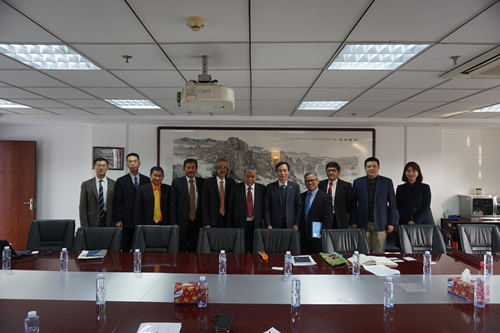 The delegation also visited several research institutes under CATAS.